Russia’s Special Forces – Spetsnaz – are the first and often the last line of defense against many of the threats to national security. And it takes blood, sweat and years of experience to earn a Spetsnaz red beret. 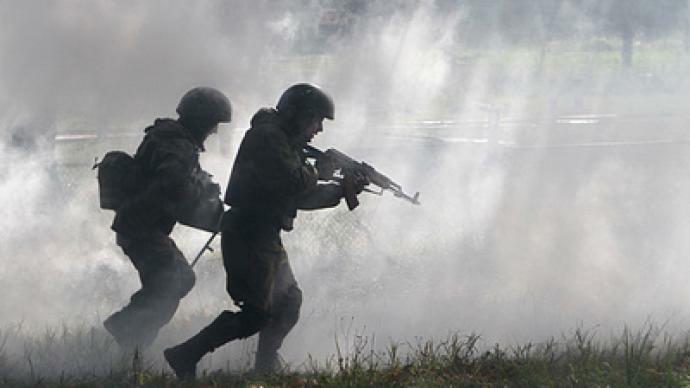 ­Spetsnaz training routines may look like a scene from a Hollywood blockbuster, but the young soldiers are very real. The history of Spetsnaz goes back centuries. Its tactics and techniques have changed in accordance with the key challenges of the period. However, at any point in time, the Special Forces have always represented the elite of the Russian Army. And in the 21st Century, they are on the frontline of the fight against terror. For the young men in training at the Special Forces unit, a mocked-up siege or hostage situation are lifelike scenarios, though they have not yet taken part in a real operation. Day by day they learn how to act when faced with an enemy. It is exhausting both physically and mentally. For many, facing their own fears is the hardest thing to deal with. Helping young soldiers deal with their fears is what Lieutenant Colonel Andrey Furaev is tasked with. Owner of the Order of Courage for his service in Chechnya and a Crimson Beret – the top Spetsnaz honor similar to America's Green Beret, Furaev knows how to take control over human nature. Countering terrorism is a Spetsnaz specialty, though they can expect to be sent to any kind of emergency if it threatens the country’s security. In mid-December, when the Russian capital was hit by a wave of violent nationalist riots, Spetsnaz soldiers were on standby. All of the young soldiers who first enter Spetsnaz are conscripts. After completing their military service, they have the option to sign a contract and continue as professionals in the elite Spetsnaz.